Marker today announced that Samsara Deluxe is now available from the Nintendo eShop in Europe priced £7.99 (GBP). It will be released on 10 January 2019 in North America, priced $9.99 (USD). Players will embark on a voyage of discovery and awakening with Zee and a mysterious shadow – through light and dark, across the upside-down and the right side-up to their eventual freedom. The extended Switch version adds 24 never-before-seen puzzles set in a new ethereal environment, with gameplay enhanced by a new elevator block type. Samara Deluxe operates in TV, tabletop or handheld mode (with full touchscreen support). Samsara won the award “That Game like Clockwork” at Play By Play Awards 2018, as well as a further three nominations for excellence. Samsara was also a finalist at MomoCon 2018 and Unite Melbourne 2017. 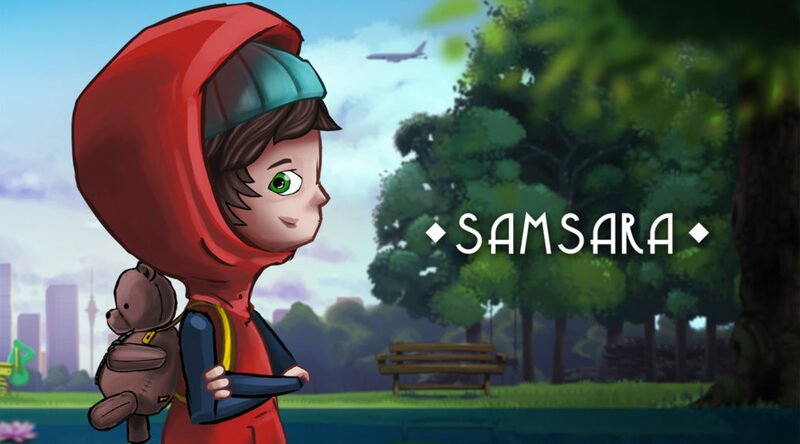 Samsara Deluxe is a beautiful, reflective puzzle game set in a world of echoes where players guide a child safely to the exit by dropping blocks of different shapes and properties into a world of two dimensions split by a pool. Simple mechanics conceal complex interactions involving gravity, balance, redirection and teleportation, with a twist: everything added in the upside down world below reflects in the world above. Samsara Deluxe for Switch features over 100 levels across 7 hand-detailed realms, each with hidden “Easter Eggs” to uncover, and is hand-crafted by a team of experienced developers in New Zealand. This game has very amazing 3D graphics and the best color combination. You can easily play it best online free game on your mobiles, tablets, laptops, and desktops. All games have been designed by a specialized teacher and trainer WHEELY 3 TUIC (Usual Technique of Information and Communication). Other teachers (and technicians) regularly contribute. Switzerland is the land of opportunities and if you are thinking to study Visa From India in Switzerland it’s your correct idea. Raft Wars 2 is the redesigned form of Raft Wars 2 Unblocked Raft Wars, one of the simplest and only shoot growth. In fun, the players participate in the shooting match in the sea.